One of the effects of Hurricane Sandy was coastal flooding. The result is that many areas of turf and trees have been either submerged in salt water or deluged with salt spray. 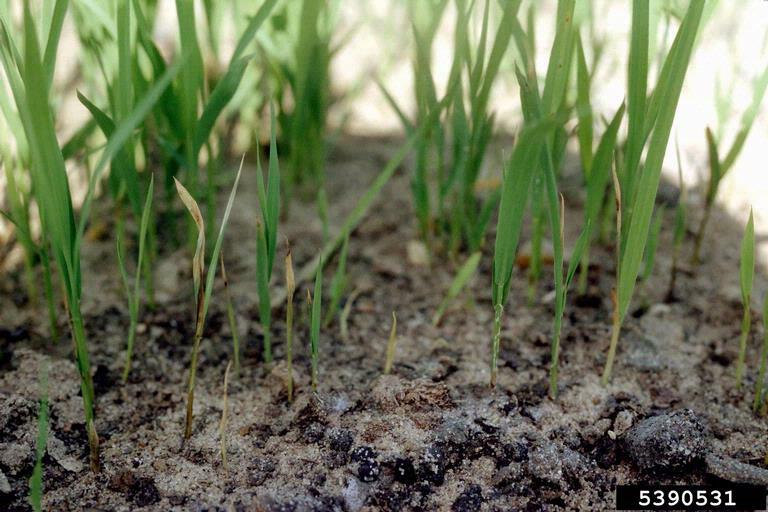 While coastal plantings are usually salt-tolerant, many areas further inland have received a dose of salt that can be toxic to grass, plants and trees. The effect of salt is so damaging that it was used as a weapon in ancient times to destroy an enemy’s crops. When the soil’s salt content increases, roots find it harder to take in water. 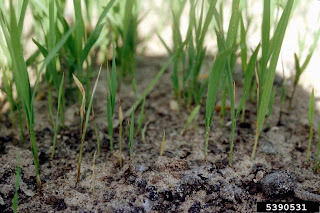 At elevated salt levels, water within the root can actually be drawn out of the plant, causing wilting. Neither sodium nor chlorine is generally good for plants (trees take the small amount of chlorine they need from the atmosphere). The sodium will displace essential nutrients like potassium, calcium, and magnesium, making them unavailable to the plants. At the same time, the roots take in the chloride ions and transport them to the leaves, where they accumulate and interfere with chlorophyll production and photosynthesis. “The solution to pollution is dilution” is an adage that is appropriate here. Since salt is water soluble, it can be further diluted and washed through the soil by adding more water. Water your turf and plantings until the soil can’t absorb any more, wait for it to drain completely, and then water again. Keep it up until the ground freezes. If your Almstead turf specialist suspects that there is too much salt to be eliminated by dilution alone, he will probably test the soil to determine the level. If the salt level is too high, we usually add gypsum to the soil through core aeration. We also have organic amendments containing humates that can speed up the process. With early action, the effects of Sandy’s salt water bath should be mitigated by spring.